"The Love Boat: Second Chances is hysterical -- so cute and funny! Twin girls try to enjoy a cruise on the Love Boat on only one ticket. They take turns going out and passing off as just one. The story is quite good, and the fun level of the game is very, very good. There is lots of great game play and characters. I love this game and have been playing every day for hours!" 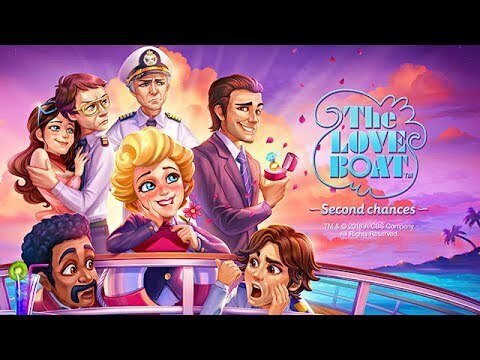 Get ready for The Love Boat: Second Chances, a Time Management adventure filled with romance, fun and quite a bit of chaos. It’s up to you to juggle the many duties of a cruise director as you tend to each passenger’s needs. Just be sure to find time to enjoy the beautiful beaches of sunny Acapulco and the luxuries on board the ship, as you sail from Los Angeles to Mexico on the cruise of a lifetime. Oh, and don’t forget the souvenirs. Based on the hit TV show, you will level up your crew, play as different characters with special talents, and enjoy funny and interactive cut scenes. The Love Boat: Second Chances will surely be a cruise like no other. Face challenging decisions of career and family at the crossroads of life.